SAIS Creag Meagaidh Blog » Doppelganger. (Above) Calm in upper Coire Ardair this morning. 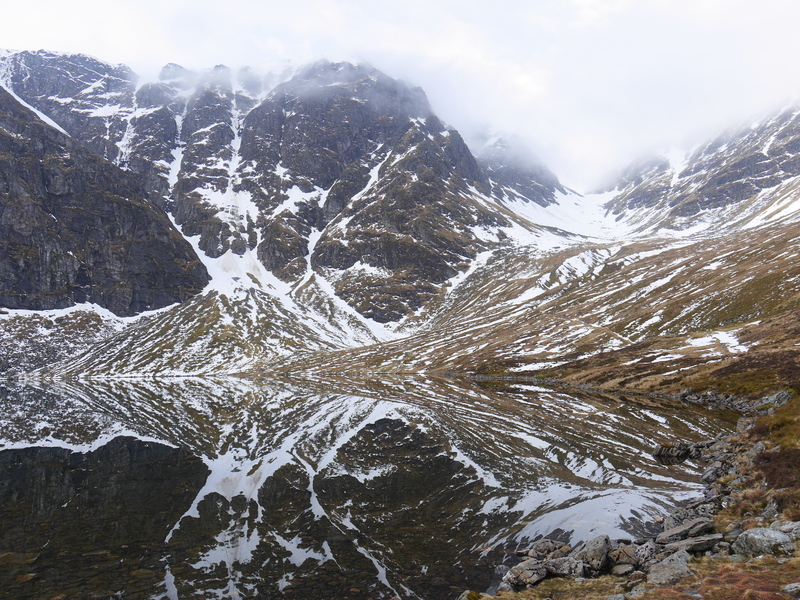 Lochan a Choire not quite millpond still but near enough to produce convincing mirror image of the Post Face and the Inner Coire. Periodically sunny but with some thin high mist, too. 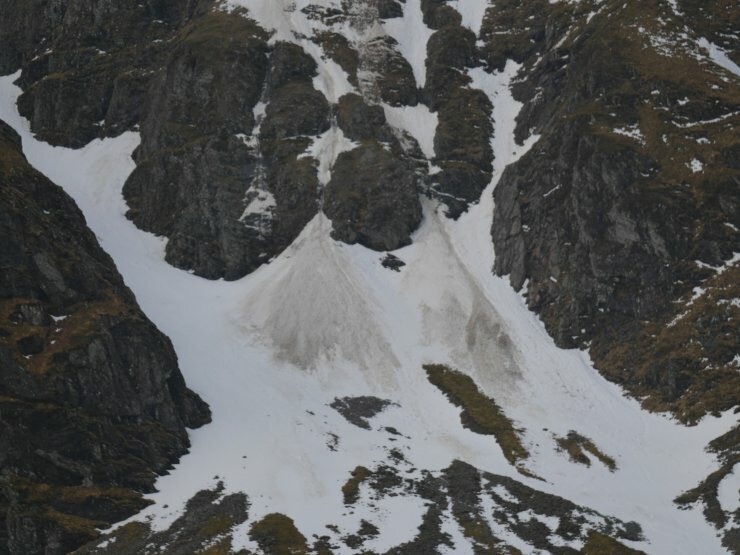 (Above) The remnants of minor full depth snow slides running out in to the base of Easy Gully in Coire Ardair. Still some potential for a few more of these during the thaw. (Above) Most cornices are now long gone but a few linger on and threaten to collapse. 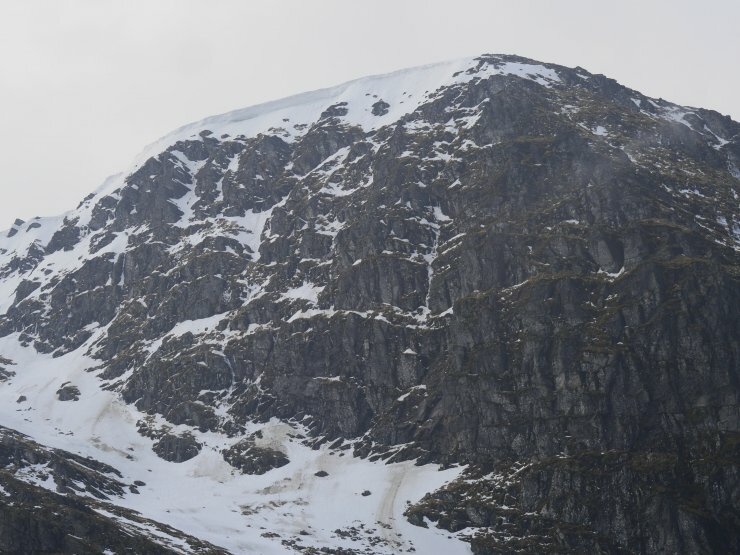 This one is above Bellevue Buttress in upper Coire Ardair. Noticed the distinctive noise of falling ice and rocks near the Post Face around noon today. Great photos and today was such a contrast to the low cloud and fresh snow over the previous 48hrs . Days like today are rather special. Thanks for your comment, Grant.